Did this movie show is SA? not? when then? and if not why? I am really disappointed that I missed it, why was it so hush? I would think it would premiere here of all places? please give me more info? IF ANYONE HAS TWO OR MORE TICKETS FOR CARNIVAL CITY THEY WANNA SELL: I will pay top dollar… please mail me at bendixsa@gmail.com…. I don’t know why they had to take the WHOLE big top arene, that place is so big, why didn’t big concerts just throw the show in Brakpan high’s school hall.. Im going to be hating the FOR A LONG TIME! Is he coming to Toronto? It’s like three hours from Detroit. I could pick him up, no problemo. I could borrow a car, for sure. Hello friends! 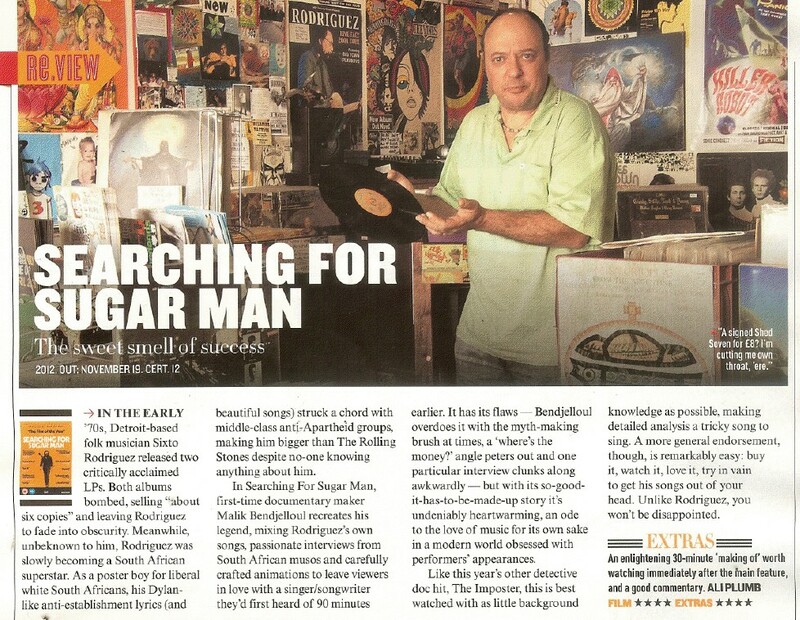 Iam from Denmark – where the film “Searching for Sugarman” is playing right now. I watched this yesterday – and what an experience: It was the most touching and amazing documentary film I remember ever having seen! After that I just have to follow this blog – and wait for a concert in Denmark!!! !